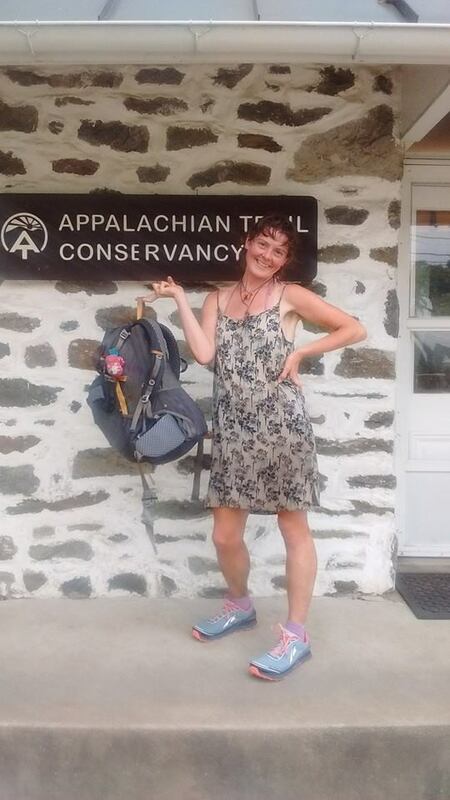 This past summer, just over a week into my attempt on the Appalachian Trail unsupported record, another hiker told me that Heather “Anish” Anderson would be attempting the same record later in the year. I was well aware who Anish was; I had extensively studied her accomplishments in preparation for my own trip. So from then on I essentially knew that even if I did break the record, I would most likely hold it only until she summited Springer Mountain a couple months later. But it wasn’t distressing to me. I wasn’t out there to make an effort to set or hold an unbeatable record. I was out there to see what I could do, and hopefully be another stepping stone toward seeing what humans were capable of doing. 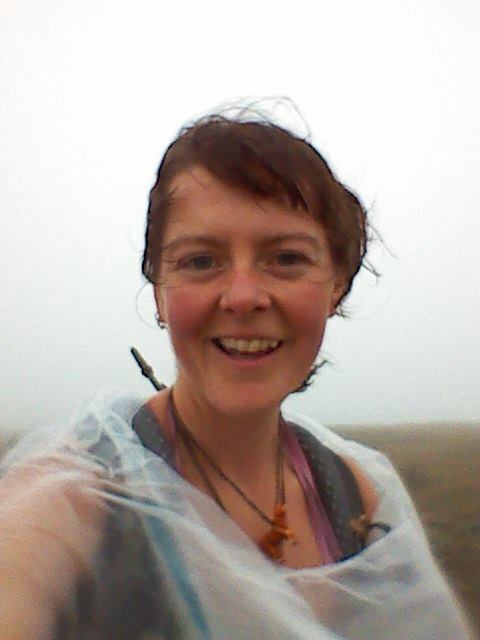 So I thought having someone who had made her mark on the trails out west come challenge the Appalachian Trail unsupported record would be incredibly exciting. The 34 year old Michigan native had smashed the unsupported Pacific Crest Trail record by over four days in 2013. She even held the overall record for a day before it was broken by a supported hiker. But her unsupported record has remained untouched for the last two years. And to be honest, after hearing what she went through to get it, it’s going to take a special kind of person to voluntarily challenge it. 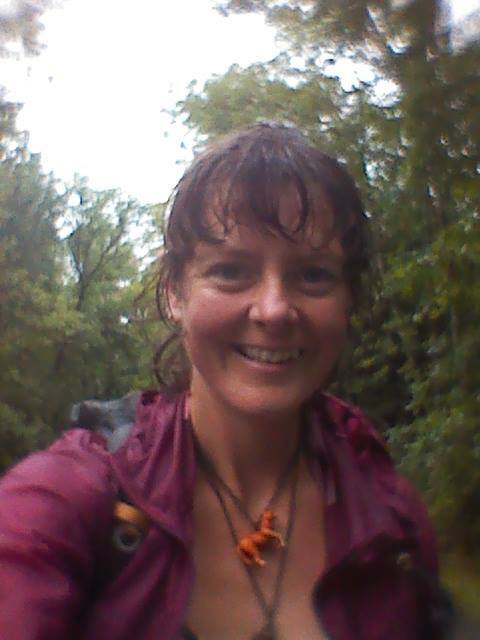 Currently she’s around three quarters of the way through her attempt on the AT record and I have no doubt that she can do it. She’s deliberately avoided posting her location to avoid the press that defined Scott Jurek‘s hike and to preserve the unsupported nature of her trip. But she made it apparent that after making it over halfway in under a month, she’s now dropping 40+ mile days and shows no signs of slowing down. Dropping bombs like, “This trail is relentless. But then again, so am I,” she shows that no matter what she goes through, it’s not the discomfort or pain that will stop her. Anish is marked by her incredible perseverance and ability to suffer. In her trademark loose patterned dress, she doesn’t fit the look of a super athlete. Her gear doesn’t stand out as incredibly light. And she’s not a world class ultra marathon runner. But in an arena like the AT where enduring is the name of the game, she’s right at home. While most speed hikers fight to cover the miles quickly and generally between dawn and dusk, dropping 18 hour days, day after day, isn’t out of the question for her. She is an unstoppable freight train. On all my trips, in all the suffering on my solo adventures over the past few years, nothing comes close to how difficult chasing the Appalachian Trail unsupported record was. Despite being surrounded by people, it’s an overwhelmingly lonely endeavour. I would see other hikers enjoy an evening campfire when I had another 10 miles of night hiking left. The longest conversations I had were laying in shelters for a few minutes before I fell asleep. I longed for someone to share the suffering with me but even on my best days, I didn’t find any companionship that far down in the pain cave. My legs constantly ached, often so badly that I would wake up moaning in agony. I always wanted to sleep but only afforded myself a few hours each night and occasionally a short midday break. I ate and drank while hiking. I texted my family, updated my Twitter, changed clothes all while hiking. I even urinated while hiking. It took seconds to fill up my bottles, maybe a minute to grab a jacket from my pack, four or five minutes to set up camp, and two or three to tear it down. My life was defined almost exclusively by walking and sleeping for the time I was out there. And after all the pain and torture I put myself through, all I can think of is how much respect I have for people like Matt Kirk and Anish who pulled off what I did not. Nobody knows if Anish is on pace to break the record or not; she hasn’t given that away. But I know that the challenge inevitably comes down to a game of suffering and I can think of no better player than Anish.